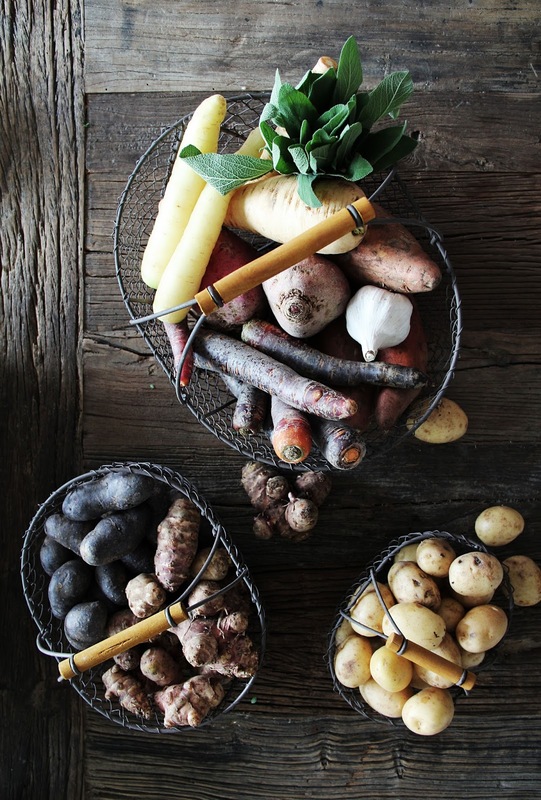 i’m obsessed with rare foods… it’s like my personal challenge to find ways to incorporate them into a meal (that you would actually want to eat). so when i discovered einkorn, i knew it had to be turned into something equal parts simple and special. to make a risotto with the grain seemed like a good idea! of course, my current green-run made me tint it green. with a very quick pea mash, that’s easily done. 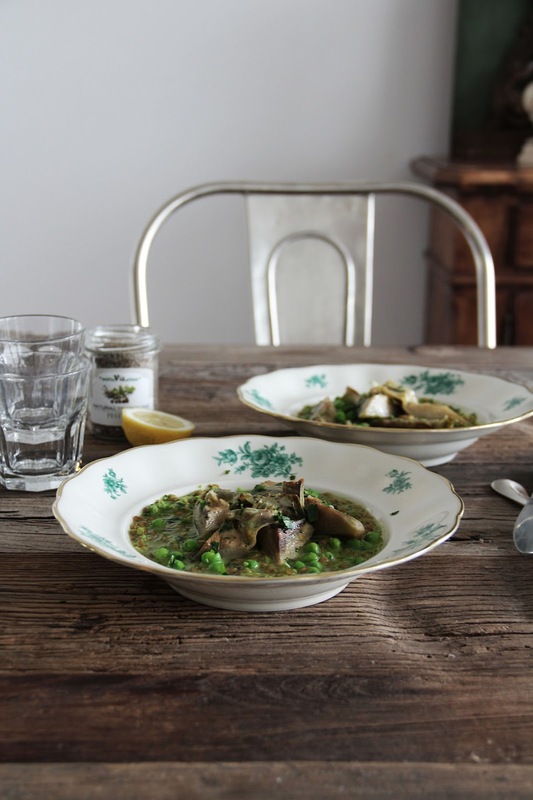 apart from the pretty green color, the pea pesto even adds more texture and depth to the dish. 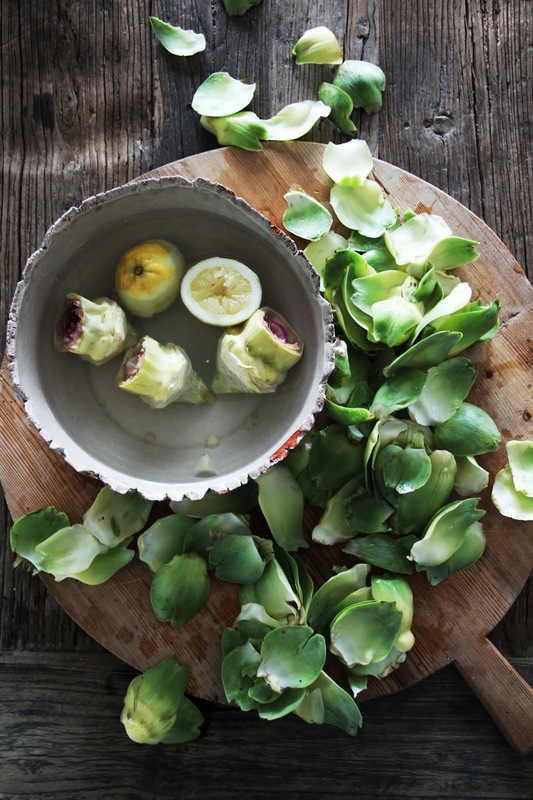 topping things off with my favorite veg, ever – the mighty artichoke – made things even better. and did i mention this has a significant lemony tang? exactly: everything you need to be won over to try something new today. 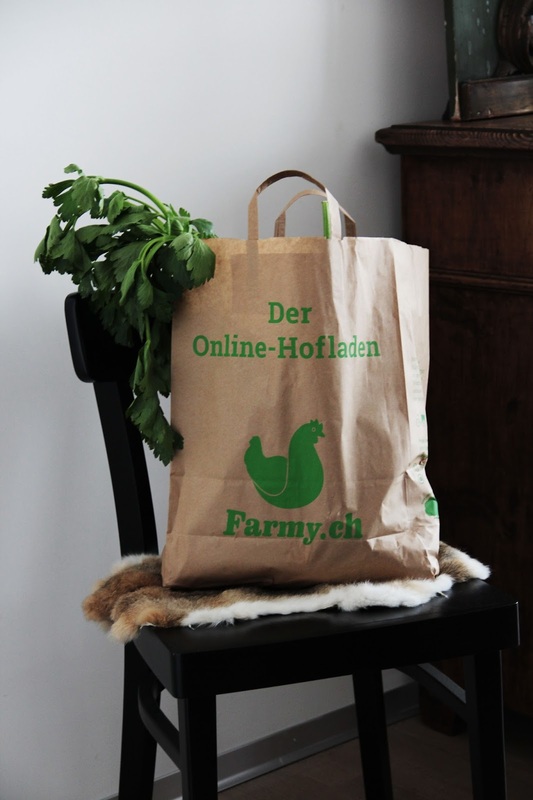 note: if you live in switzerland, you can now order your next supply of fresh, locally grown vegs, herbs and grains conveniently from the comfort of your couch on farmy.ch! 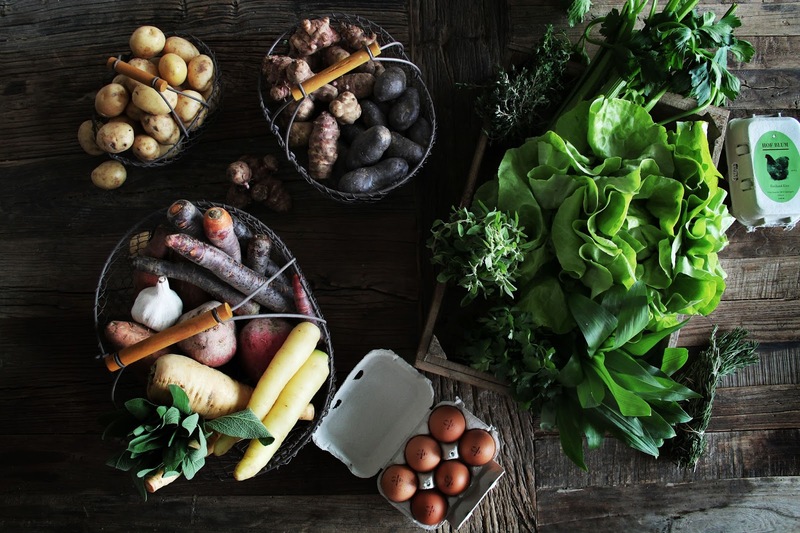 use the code APFELBAUM15 to get a 20 franks discount on your first purchase. start by cooking the einkorn. heat 2 tablespoons of the olive oil in a large pot. sweat the onion in it until it turns translucent. add the garlic and briefly heat that, too. add the einkorn and stir to coat, heating it briefly. 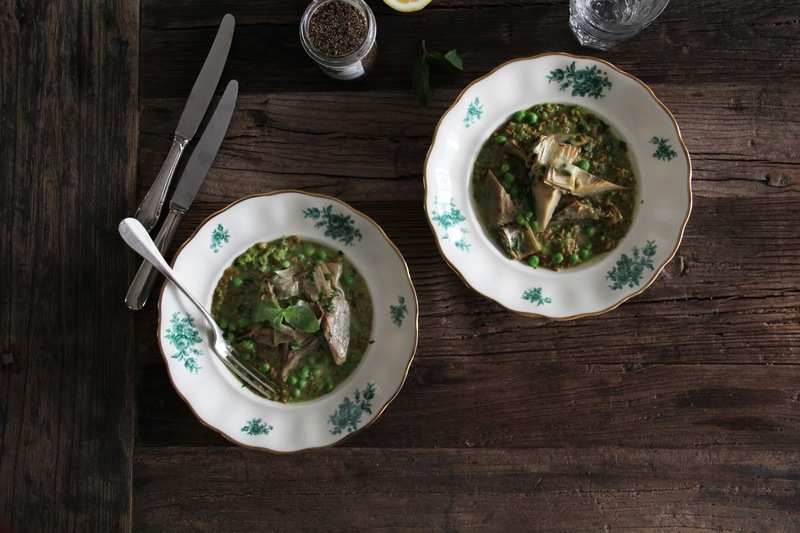 now, like you would do it with a risotto, add ladle by ladle of the hot vegetable broth and stir it, working it into the einkorn, all the while cooking it on medium heat. stir, add liquid, continue to cook until tender (which, for me, took about 45 minutes and about 1 liter of liquid). the einkorn won’t be the same consistency as rice, since it doesn’t have the same amount of glue or stickiness when cooked. it will much rather be of a lose consistency. but don’t worry, we will add the pea pesto, and it will be lovely! now, prepare the peas and artichokes. 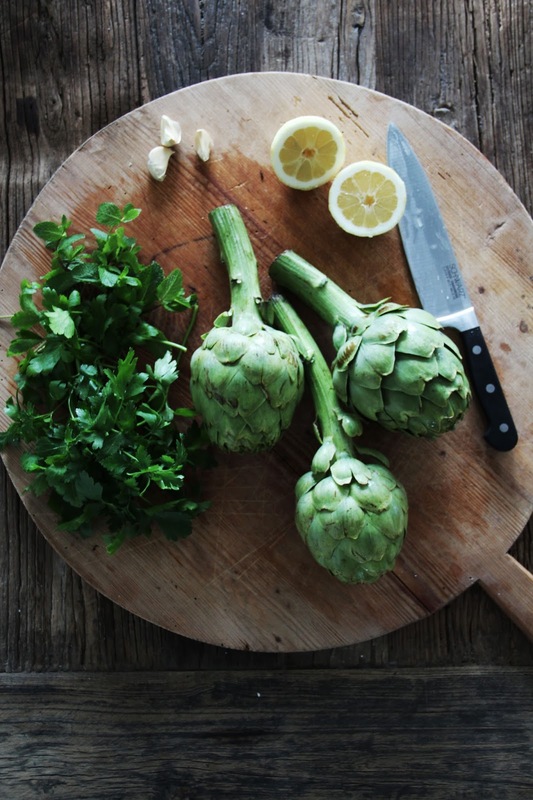 for the artichokes pesto, blanch the artichokes in hot water for 3-4 minutes, drain and cool in ice cold water. use half the peas for the pesto: put them in a blender together with the lemon juice, salt, pepper and a handful of the parsley leaves and blend until very smooth. 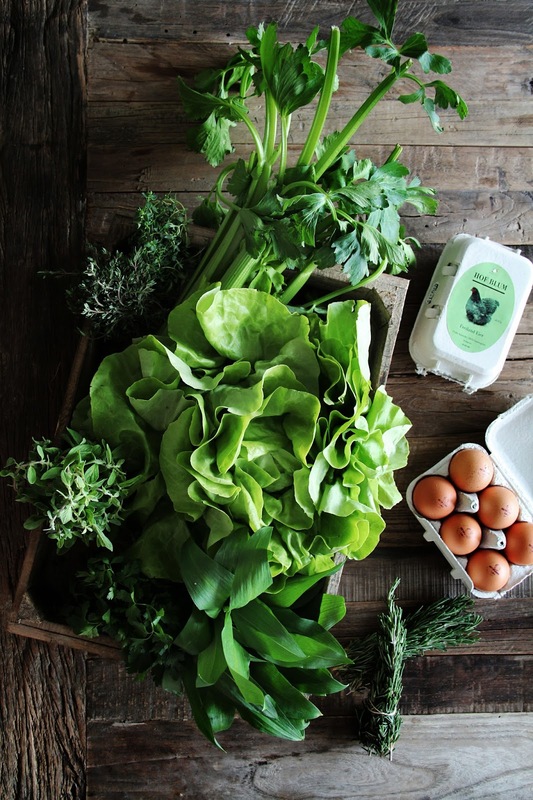 this will be added to the einkorn risotto before serving, to make it green and flavorful. for the artichokes, trim the stems, discard the outer leaves so that only the finest ones in the middle remain. half and quarter, then remove the fibers in the core. immediately submerge in lemon water to prevent them from turning brown. heat the rest of the olive oil in a large frying pan and fry the patted dry artichokes in it until brown and tender (which takes about 12 minutes, depending on how tender you want them). keep tossing and turning! season with salt and pepper and add the rest of the chopped parsley. put aside. 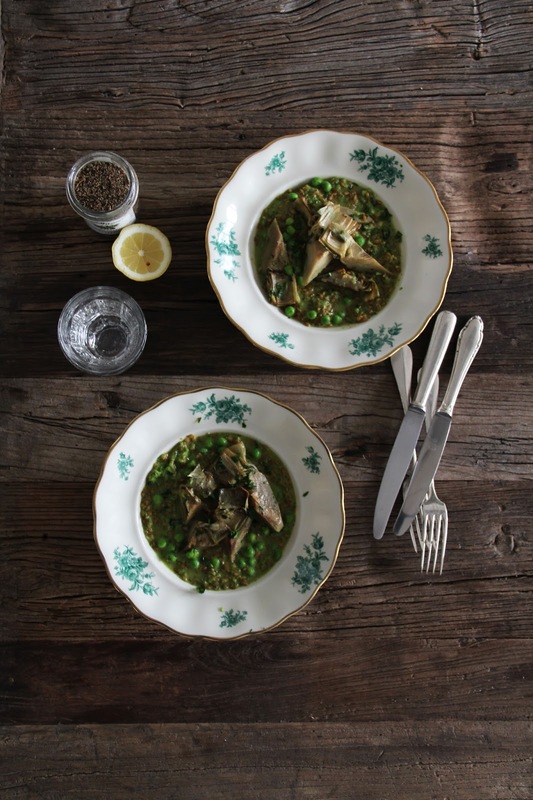 at the end, finish the risotto: add the parmesan and the pea pesto to the einkorn and stir to combine well. you might want to season some more with salt, pepper, lemon zest and juice and some nutmeg, if you like. stir in the left over whole peas, too, and divide between plates. top off with the fried artichokes and serve hot. Such a beautiful blog, i love it.